The M.A. in Economics program was established in the mid-1960s but has recently made changes to ensure that the program is focused on training students to conduct applied economic research and decision analysis using current methodologies. There is an emphasis on hands-on data analysis, making it possible for graduates to acquire the skills and knowledge for careers as consultants in private business and analysts for the government. The dedicated graduate faculty at MTSU have prepared highly qualified master’s-level economists who have gone on to continue their doctoral studies not only at MTSU but at numerous universities, including Chicago, Virginia, North Carolina State, and Auburn. Others have found employment in local banking, the Federal government, and the State of Tennessee. Dr. Shinya Fujino​ visited with MTSU Economics students. His interactive seminar, Ethics, Bribery, and Fraud in Japanese Corporate Society, focused on understanding the features of East-Asian economies including Japan, China, and Korea in areas such as fraud, money laundering, and more. Dr. Fujino is a lecturer in the Department of Economics, Reitaku University, and a special researcher at its Business Ethics and Compliance Research Center. He graduated from Kyoto University School of Economics, completed the Kyoto University Business Administration School (M.B.A.), and earned his Ph.D. at Reitaku University Graduate School. The department offers a Master’s of Arts (M.A.) degree in Economics. 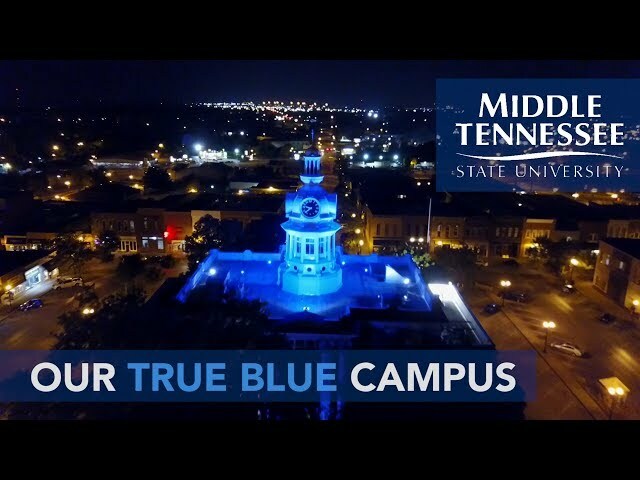 The focus of MTSU's M.A. program in economics is on applied research and decision analysis. The M.A. program offers a general curriculum in economics covering a range of macroeconomic and microeconomic topics with a focus on hands-on data analysis. The program also offers a concentration in Financial Economics. Both of these tracks offer the intellectual foundation and technical skills required of economists and analysts in private companies and public agencies. Additionally, departmental graduate programs include a Master of Science in Finance and a Ph.D. in Economics. There is also a graduate minor in Economics. The Economics and Finance Department offers undergraduate majors in Economics and Finance. The Economics major leads to two degrees: a Bachelor of Business Administration (B.B.A.) and a Bachelor of Science (B.S.). The B.B.A. is a business major and is also available with a concentration in Labor Relations. The B.S. is offered through the College of Liberal Arts. The Finance major includes concentrations in Business Finance, Financial Institution Management, Risk Management and Insurance, and Real Estate, all leading to the B.B.A. Undergraduate students can pursue minors in Economics, Economics and Finance, Industrial Relations, Finance, Real Estate, Insurance, and Real Estate/Insurance. The mission of the graduate program in economics is to provide students with advanced studies in economic theory and research methodology. To accomplish its mission, the Department of Economics and Finance offers three degree programs: the Master of Arts (M.A.) with a major in Economics, the Master of Science (M.S.) with a major in Finance, and the Doctor of Philosophy (Ph.D.) with a major in Economics. The department's approach to these degree programs is global, interactive, and innovative. The Master of Arts in Economics requires completion of a minimum of 30 semester hours (10 courses) if a thesis is written or a minimum of 33 semester hours (11 courses) if a thesis is not written. At least 24 hours (8 courses) must be in courses numbered exclusively as 6000-level graduate courses (other courses can be taken at the 5000 level). A minimum of 18 of these semester hours must be in economics and include ECON 6010, ECON 6020, ECON 6060, and ECON 6070. Core course in macroeconomic theory for students pursuing an M.A. in Economics. First part focuses on long-run economic growth. Topics include exogenous and endogenous growth theory, overlapping generations models, and the neoclassical growth model. Second part focuses on short-run economic fluctuations. Topics include real business cycle theory, traditional Keynesian theories, and New Keynesian models featuring rational expectation. Mathematical models used to address competing theories; comfort with multivariate calculus and linear algebra essential. Core course in microeconomic theory for students pursuing an M.A. in Economics. First part develops the theory of consumer choice with extensions including the labor supply model, intertemporal choice, and choice under uncertainty. Second part models theory of the firm in both perfectly competitive and monopoly industry settings. Mathematical models used to derive theories; comfort with multivariate calculus and linear algebra essential. (Same as FIN 6060.) First core course in econometrics for students pursuing an M.A. in Economics. Focuses on ordinary least squares regression analysis, covering the problems of specification, multicollinearity, heteroskedasticity, autocorrelation, and endogeneity. SAS statistical software used as a tool for manipulating data, conducting forecasts, carrying out Monte Carlo simulations, and performing statistical inference. Second core course in econometrics for students pursuing an M.A. in Economics. Emphasizes methods of time series analysis, including Box-Jenkins methods, general-to-specific modeling, volatility models, vector autoregressions, unit roots and cointegration, unobserved component and state space models, and neural networks. Integrates practical applications in various computing environments including SAS, RATS, and MATLAB. Selection of a research problem, review of pertinent literature, collection and analysis of data, and composition of thesis. Once enrolled, student should register for at least one credit hour of master's research each semester until completion. S/U grading. The Master of Arts in Economics with a concentration in Financial Economics requires completion of a minimum of 30 semester hours (10 courses) if a thesis is written or a minimum of 33 semester hours (11 courses) if a thesis is not written. At least 24 hours (8 courses) must be in courses numbered exclusively as 6000-level graduate courses (other courses can be taken at the 5000 level). A minimum of 18 of these semester hours must be in economics and include ECON 6010, ECON 6020, ECON 6060, and ECON 6070. (Same as FIN 6460.) Prerequisite: FIN 3010 or FIN 6000. Focuses on the pricing of equity securities using discounted cash flow, relative valuation, and the Black-Scholes real option valuation approaches in the top-down analysis framework. Focuses on analyzing the macroeconomic environment, forecasting short-term and long-term stock market trends, performing industry analysis, identifying the key value drivers for the industry and stocks, interpreting accounting and non-accounting information necessary for valuation, establishing assumptions for equity valuation models, applying valuation quantitative models in the stock research project, and presenting equity research in a professional manner. (Same as FIN 6730.) Prerequisite: FIN 3010 with minimum grade of C. Focus on the common and distinctive aspects of the provision of financial services and the management of risk associated with those services. Roles, characteristics, and operation of financial institutions, constraints that these institutions face in meeting that objective, regulatory environment within which they operate, risks that they face and the management of those risks, evolution experienced during the 1980s and 1990s, and the probable course of change in the years ahead. (Same as FIN 6430.) Examines the role of government in the allocation and distribution of society's resources. Topics include theories of government sector growth, public and quasi-public goods, externalities and agency theory, transitivity and completeness of voting preferences, income redistribution and economic justice, social insurance, health care programs, tax shifting and incidence analysis, efficiency and equity in taxation, and efficiency and redistributive aspects of deficit financing. Topics may involve case studies such as budget formulation, environmental policies, payroll taxes, and alternative tax structures. (Same as ECON 6430.) Examines the role of government in the allocation and distribution of society's resources. Topics include theories of government sector growth, public and quasi-public goods, externalities and agency theory, transitivity and completeness of voting preferences, income redistribution and economic justice, social insurance, health care programs, tax shifting and incidence analysis, efficiency and equity in taxation, and efficiency and redistributive aspects of deficit financing. Topics may involve case studies such as budget formulation, environmental policies, payroll taxes, and alternative tax structures. (Same as FIN 6450.) Prerequisite: ECON 3210 or equivalent recommended. Objectives and limitations of monetary policy, alternative monetary theories underlying policy decisions and the controversy among theories, transmission channels of monetary policy, alternative strategies used to achieve the objectives of monetary policy, practical considerations in the execution of monetary policy, global linkages and monetary policy, and the effects and consequences of policy decisions on economic activity and business decisions. (Same as ECON 6450.) Prerequisite: ECON 3210 or equivalent recommended. Objectives and limitations of monetary policy, alternative monetary theories underlying policy decisions and the controversy among theories, transmission channels of monetary policy, alternative strategies used to achieve the objectives of monetary policy, practical considerations in the execution of monetary policy, global linkages and monetary policy, and the effects and consequences of policy decision on economic activity and business decisions. Prerequisites: BIA 2610 and MATH 1810 or equivalent. Application of mathematical and statistical techniques to economic problems. Introduces econometric model construction and estimation and related problems. Requires use of econometric computer package. Prerequisites: ECON 2410 and 2420 or 4570 or equivalent. Primarily for M.B.A. students with particular attention given to business administration and finance topics including demand analysis, production and cost decisions, quantitative market analysis, capital budgeting, and alternative theories of the firm. Special emphasis on case studies, software applications, and interpretation of economic meanings of related analyses. Prerequisite: Graduate standing. Introduces the core models of international economics. Focusing on alternative returns to scale models, students will analyze the direction, volumes, and effects of international trade; various trade policies and their effects; optimal entry modes of multinationals into foreign markets (FDI or exports, vertical-integration, or offshore outsourcing, etc.). Students will also analyze determinants and effects of the slicing of the global value chain, regional economic integration, exchange rate movements, and balance of payments deficits.